This Mattapoisett,MA home looks great with a brand new GAF Roofing System in the color, Pewter Gray and Mastic Vinyl Siding. A GAF Roofing System is more than just shingles! With multi-layer technology, your home is safe from leaks and bad weather. Included in that multi-layer technology are Cobra Ridge Vents. 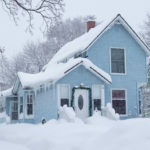 Cobra Ridge Vents make sure your home is properly ventilated to reduce moisture in your home, prevent ice dams from forming, and will help keep your electric bill low. 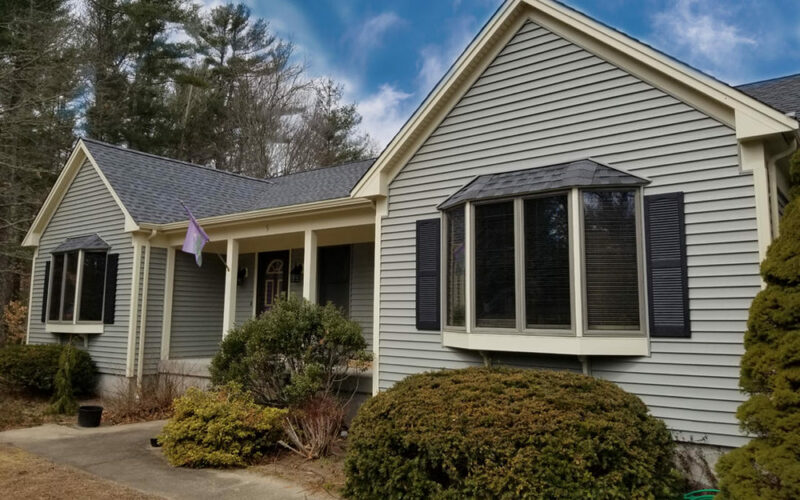 In addition, a GAF Roofing System has a 130 mph wind rating, which is perfect for the ever-changing weather in Massachusetts. It also has Stain Guard Protection to keep your roof looking good without any unsightly dark/algae marks. GAF offers customers a wide variety of colors, styles, and textures, to match the rest of your home. Along with being practically priced a GAF Roofing System is a great choice for any homeowner. 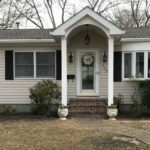 We also installed Mastic Vinyl Siding in the color, Scottish Thistle along with Fabricated Aluminum Trim in the color, Classic Cream onto the home. Vinyl Siding is a quality product that has come a long way since it was first produced, it looks very close to natural wood siding and can really change the exterior of a home! Mastic Carvedwood 44 vinyl sidings longevity and durability are what truly makes this product stand out. It can withstand the wear and tear of everyday life because it is crack, fade, dent, and wind resistant up to 200 mph. So homeowners can have a virtually maintenance free exterior to enjoy for years and years. With an endless amount of design options to choose from like color, style, texture, and finish homeowners are sure to find the right combination that fits their personal style. Customers can also feel good knowing that their vinyl siding is covered by Mastics V.I.P. Limited Lifetime Warranty as well as Care Free Homes 10 year guarantee! Have you been wanting a exterior makeover? 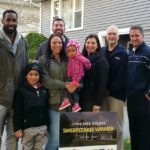 Care Free Homes has over 40 years of experience, with thousands of satisfied customers throughout Cape Cod, Southeastern Massachusetts, and Eastern Rhode Island. We even offer affordable financing options so you do not have to postpone your project! Call us or contact us online for a FREE quote (508) 997-1111 and make your house a Care Free home!